The list of topics for the knowledge test sounds like a mouthful and you probably won’t get by on practical knowledge alone. Fortunately for you, there are dozens of resources that you can use to help prepare for the test. Aside from helping you pass the knowledge test, these training courses and classes can also be your ticket to being an overall better drone pilot. Taking an online Part 107 training course has the advantage of being incredibly convenient. 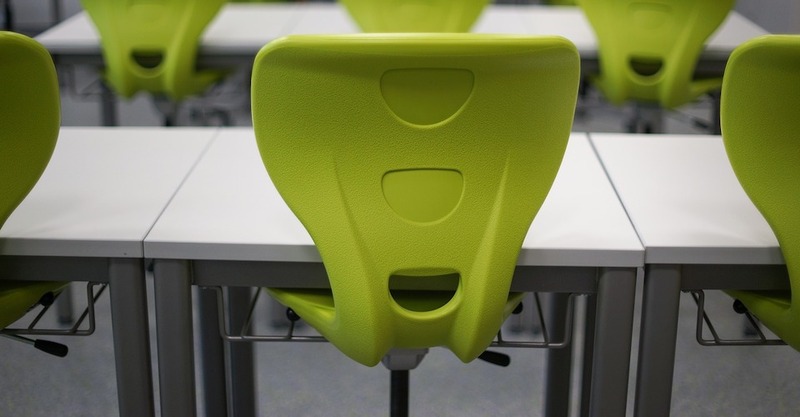 Most of them are designed to be compatible with mobile devices, so you can continue with your studies even while during your commute or over lunch break. The online courses we have listed below have excellent content and organization, making the learning process more systematic and effective. 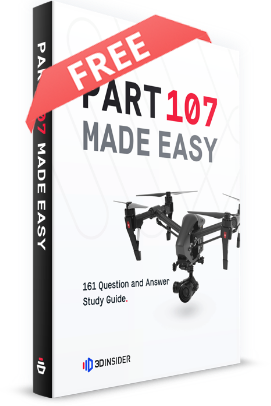 One of the most popular online training courses for Part 107, the Drone Launch Academy course contains around 4 hours of videos, an e-book, and over 200 practice questions. Going through all the material cumulatively takes about 10 hours. 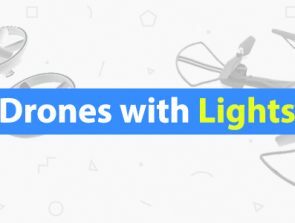 The standard price for taking the course is $179, but Drone Launch Academy has offered a coupon for our readers for a discounted rate of only $129. The best thing about Drone Launch Academy is that signing up for the training course gives lifetime access to all of its resources. This could come in handy considering that commercial drone pilots need to renew their licenses every 2 years. The Drone Pilot Ground School has built a solid reputation with a training course that boasts higher than 99% success rate. Their online training course is composed of 65 distinct modules, each containing a video lecture, a detailed text lecture, and an end-of-lesson quiz. All the course materials can be accessed through mobile devices, and all the text material can be downloaded and printed. At the end of the course, you have the option to take any of 5 full-length practice tests. It is a very comprehensive which more than justifies its $299 price tag. 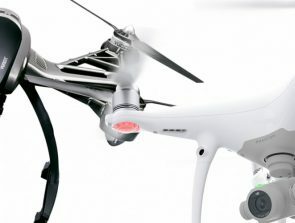 Just for the readers of this site, Drone Pilot Ground School has offered a $50 discount coupon for their Part 107 training course. Drone U provides a series of drone training courses delivered mostly through instructional videos with some written tutorials. They offer a unique pricing scheme of $47 per month of subscription which gives access to all their training material. 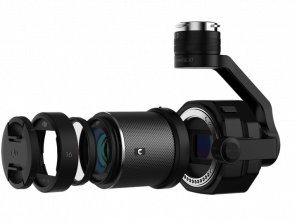 The resources of Drone U go way beyond just the Part 107 knowledge test: they offer advanced classes on special topics such as drone photography and drone sensors. Being a member of the site also gives you access to their private community of drone pilots whose shared expertise may prove invaluable to you. The training course of UAV Ground School holds the distinction of being an FAA-approved training program. Their Part 107 training course has a lot of content: 30 modules with instructional videos, interactive segments, quizzes, flash cards, and sample tests. Going through all the material takes about 15 to 25 hours. With all of its content plus the endorsement of the FAA, the UAV Ground School training course is a great deal at $199. This Part 107 training course comes in the form of an app that can be downloaded from the Apple Store for $49.99. Developed by Dauntless Software, this training app includes instructional audio clips, flash cards, and a wealth of sample questions. A nice feature of this app is that each answer made for each sample question comes with a detailed explanation for why it was the correct answer, complete with easy to understand illustrations. Being completely app-based, this training course has an unparalleled level of interactivity. It is also a much more affordable alternative relative to other online training courses. For some people, nothing works quite like instruction given in-person. Having a mechanism of instant feedback and being able to ask questions real-time are just some of the benefits of in-person classes. Most of these classes also include flying exercises, which is perhaps the most practical way of learning for drone pilots. However, signing up to these classes means showing up according to a set schedule – an arrangement that might not work for everybody. DARTDrones shot to fame with a winning pitch in Shark Tank, after which they just continued to get even more popular. They offer a Part 107 training course that consists of one day of in-person instruction on top of 6-month access to an online course. The in-person session consists of a hands-on tutorial on how to read aeronautical maps, as well as a discussion of practice questions with an expert pilot. 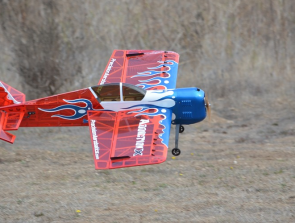 The in-person classes of DARTDrones are designed to accommodate only up to a maximum of 12 people so the instructor can give due attention to everyone. The online component of the course includes all the usual contents: an e-learning course, a 50-page study guide, and more than 300 sample questions. The package that includes the online training course and the one-day in-person class costs $670. A-Cent Aviation is a company that specializes in the training of manned aircraft pilots. Fortunately for drone pilot, they also offer a 7.5-hours ground instruction drone training program. The program is divided into 5 courses, each concentrating on particularly problematic topics, such as weather or reading of aeronautical charts. The drone training program costs $45 per hour, or $337.50 for the whole duration. An added benefit of doing your training with A-cent Aviation is the fact that you can also take the Part 107 knowledge test in their facility, since they are an FAA-certified testing facility. Aeon Unmanned specializes in conducting in-person Part 107 training courses. Right now, they offer a 2-day Part 107 test prep course that costs $699 and includers two days’ worth of lectures, reference handouts, an FAA sectional chart, and a UAV flight logbook. They also offer a Part 107 test prep and flight training course at a higher price of $1299. On top of the inclusions of the basic test prep course, the more expensive option includes an additional 2 days of in-person flight training. Aeon Unmanned boasts of a highly experienced training staff who have been conducting the training course since August 2016. They also claim that all of their graduates have passed the Part 107 knowledge test, so signing up with them should put you in good hands. The Unmanned Vehicle University (UVU) functions as a full-fledged university for UAV pilots which is licensed to grant Masters Degrees and Doctorates in Unmanned Systems Engineering. They operate on four quarters per year with a quarterly tuition of $1600. UVU also offers a remote pilot training course which includes an online module, a PC flight simulator module, and in-person flight training. With a faculty composed of UAV pilots with a combined 60,000 hours of flight experience, UVU commits to delivering a comprehensive and highly detailed training of all UAV-related topics. UVU has 9 training centers distributed across the US, and students can opt to take the in-person flight training in any of them. Do I need to take a paid training course? You have probably noted that there is quite a premium price involved in taking a training course, whether it’s done online or in-person. Is it absolutely necessary for you to pay up so you can have a good chance of passing the Part 107 knowledge test? The answer is no, it’s not necessary. In fact, we know of many drone pilots who have passed the test without taking a formal training course. If it’s not necessary, then what’s the point? There are a couple of advantages in taking a paid training course, depending on which one you decide to take. Paid training courses are more organized, systematic, easy to understand, and comprehensive compared to even the best free resource you can find online. These companies have put in a lot of effort into designing their training programs, and it shows in the final product. One thing we really like about some of these training courses is that they provide lifetime access to their materials when you sign up for the program. These companies periodically review and update their training materials to reflect changes in laws, technology, and common practices. By signing up to a training course, you have a way to keep your knowledge relevant and up-to-date. Having all of this knowledge in your back pocket may also prove to be invaluable when you when you need to consult on any specific Part 107 regulation. Many companies also offer some degree of guarantee that taking their training course ensures that you pass the knowledge test. Most of them will offer to reimburse the $150 testing fee should you have evidence that you failed on your first take. This means you essentially get to retake the knowledge test for free. Of course, this comes with a pre-condition that you have gone through all the material of the training course. Still, if your budget is a bit tight, then the free training resources should still work perfectly fine for you. They are all a little unorganized, so you may have to work extra hard to make sense of it all. The only comforting thought we can give you is the fact that many pilots have made it before without having to pay for training, and there is no reason that you cannot. The Part 107 knowledge test has always felt like that hump that new drone pilots need to overcome to legally fly their drones for commercial purposes. Thankfully, the resources needed to prepare for the test can be very easily found nowadays. However, the best resources are those you need to pay for. The level of quality of most of these paid training courses are more than enough to justify their prices, so you probably will not end up feeling short-changed. The value of taking the time and effort to prepare for the Part 107 certification test lies in the knowledge that you gain, making you a better and more responsible drone pilot. This is a mindset we have always promoted – to learn not just to pass the knowledge test, but for long-term and sustainable improvement.